Health inspectors have been summoned to Braemoor Health Center in Brockton three times in the past year. The adult diapers supplied by the new owners at New England Health Center, a nursing home in Sunderland, were so flimsy they left elderly residents soaked in urine. A representative from the state ombudsman’s office insisted that the owner of the nursing home, a company called Synergy Health Centers, buy a better brand. At Braemoor Health Center in Brockton, which had a blemish-free state review before Synergy took over, health inspectors have been summoned three times in the past year. 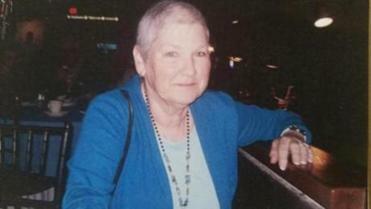 They found lax infection control, among other concerns, and the nursing home was ordered to make improvements. Synergy’s expansion in Massachusetts has been rapid — the chain has purchased 10 nursing homes since December 2012 — and with the expansion have come complaints. State inspection reports of Synergy’s nursing homes routinely show striking increases in problems since the company arrived. In one home, a patient’s pressure sores were neglected for weeks. In another, racks of dishes and utensils floated in dirty water just before they were used to serve food. And in a third, there were not enough nurses. At the Sunderland nursing home, the federal Centers for Medicare & Medicaid Services dropped the facility’s overall ranking in April from “below average” to “much below,” the agency’s lowest rating. A law passed last summer to provide public comment about the closing or sale of nursing homes has not been put into effect. At the same time, Synergy’s nursing homes are paying hefty administrative fees to related companies, which are also owned by Synergy’s founders and chief executives, the company’s financial reports for Sunderland and Brockton indicate. That structure has become increasingly common among nursing home chains, a practice that elder advocates say decreases quality of care. Chains “siphon money away that can be better served and used for the care of the residents and training of staff, and for more staff and supplies,” said David Hoey, a North Reading attorney who has cited this issue in successful lawsuits against nursing homes. The Synergy experience underscores the increasing reach of corporate chains in nursing care and the mounting concerns of patient advocates about the quality of their services. Although some chains maintain high standards, others have faced complaints for slashing staff wages and citations for the level of care they provide. Synergy’s founders declined to discuss issues about their properties, but a company spokesman said Synergy has been quick to address concerns at all of its facilities. Nursing home chains are not new to Massachusetts, nor is controversy surrounding the facilities they purchase. Genesis HealthCare, one of the nation’s largest nursing home chains, bought competitor Sun Healthcare Group in late 2012, acquiring more than a dozen Massachusetts nursing homes. An uproar soon followed among its Massachusetts employees over the company’s “poverty wages” and unaffordable health care, according to the 1199SEIU United Healthcare Workers East union. A similar dispute unfolded last year when Zenith Care Health Group, a small New York company, bought a nursing home in Lexington and workers walked off the job. Massachusetts has become a magnet for out-of-state companies to expand their reach, as owners of smaller nursing homes struggle with paltry state payments for patient care, said Ann Marie Antolini, a vice president at Massachusetts Senior Care Association, a trade group that represents most of the state’s 420 nursing homes. “We see this trend as a result of a challenging reimbursement environment in Massachusetts that has been making it more and more difficult for nursing home providers to invest in their workforces and in quality resident care,” Antolini said. Yet even amid this changing landscape, Synergy’s brisk expansion from obscure beginnings is unusual. Its founders, Zisha Avi Lipschutz, from New York, and Dov Newmark, from New Jersey, had each directed business offices at nursing homes in New Jersey or Pennsylvania, according to limited resumes provided by Synergy. With a motto of “rehabilitating health care,” Synergy advertises that it will offer the “finest in clinical and rehabilitative services,” provide “impeccable customer service,” and renovate nursing homes in Amesbury, Arlington, Brockton (where the company owns two), Newton, Revere, Sunderland, Watertown, Wilmington, and Worcester. While Lipschutz and Newmark declined interviews, Rosenblum said the founders chose Massachusetts to launch their company because the small, family-owned nursing home in Sunderland that they bought in 2012 proved a perfect entry into the market. “We are obviously on the cusp of expansion into other states and other markets,” Rosenblum said, but declined to elaborate. One of Synergy’s homes, Watertown Health Center, has maintained an above-average federal ranking since Synergy bought it in March of last year. The rest of their acquisitions have either not been inspected since Synergy came in, or have declined in quality, according to inspections and rankings released by state and federal regulators. The decline has been especially striking at New England Health Center in Sunderland, where families of residents complain about tepid meals, a lack of fresh fruit, insufficient nursing staff, spotty dental care, and questionable treatment for pressure sores. And the families say they have witnessed few of the promised upgrades to the 50-year-old building. The Globe spoke with relatives of three residents who would not speak for attribution for fear it would hurt their family members’ care. Former employees said health insurance became so expensive when Synergy came in that some workers could no longer afford coverage for their families. Anne Plunkett, a volunteer state ombudsman who was regularly in the nursing home to advocate for residents and their families, said the decline was jarring. But, she said, administrators were responsive when she insisted that sturdier diapers be purchased for residents, and she said there were indications other problems were being corrected. “The food is still a problem,” said Plunkett, who stays in touch with staffers. But federal reports suggest the decline has continued at the home, which is near Amherst. The Centers for Medicare & Medicaid Services, which shares oversight of nursing homes with state health officials, determined that nurse staffing levels — particularly certified nursing assistants, who provide much of the hands-on care — were not sufficient to meet the needs of patients. And several of the benchmarks that regulators use to measure overall quality of care had slipped, with a growing percentage of the facility’s patients developing pressure sores and urinary tract infections and receiving powerful antipsychotic medications, despite federal warnings about potentially fatal side effects of such medicines for older people with dementia. Synergy’s track record illustrates the need for stronger regulation and oversight of the rapidly changing nursing home market, 1199SEIU United Healthcare Workers East said. The union is lobbying for creation of a state commission to establish a public review process for the sale and closure of nursing homes. “Steps must be taken now to ensure these facilities are managed first and foremost as health care providers — and not just as investment properties with care standards as an afterthought,” said Veronica Turner, SEIU’s executive vice president. The statement also said the agency is working closely with advocates and the industry to “craft a workable model” that includes public comment when the agency reviews proposed nursing home sales and closures. Such public scrutiny was required by a law adopted last year, but never implemented. Failing that, annual financial reports from nursing homes open one of the few windows onto the murky inner-workings of such companies, particularly privately held ones such as Synergy. These reports, which the companies must submit to state regulators, require them to detail information about their facilities and list expenses, including the constellation of fees they pay to related companies. Chains nationwide are increasingly using such fees to shift money to subsidiary companies, shielding nursing home profits if they are sued, said lawyers who represent patients who are harmed. But the accounting practice, they said, makes it hard to track how much money nursing homes are spending on care. “They will have a realty company, a management company, an employment company that hires the staff, and specialized companies for physical therapy and occupational therapy. It’s a shell game,” said Kris Sobczak, a law partner of Hoey’s. The two North Reading attorneys represented a family who was awarded $14 million last year in the death of a Danvers woman who lived in a nursing home owned by another chain. Financial reports for 2013 — the most recent year available — submitted by Synergy for its Sunderland and Brockton nursing homes show the company paid more than $300,000 in management, bookkeeping, and business office services to three related companies owned by Synergy’s owners, Newmark and Lipschutz. Synergy owned the Brockton facility for just five months in 2013, yet that nursing home paid companies related to Lipschutz and Newmark almost as much as it had paid for the full year in 2012 to an administrative company related to the previous owners. Synergy, however, did not file the required 2013 reports that would further detail these expenses, an omission that state regulators acknowledged when the Globe requested the reports. 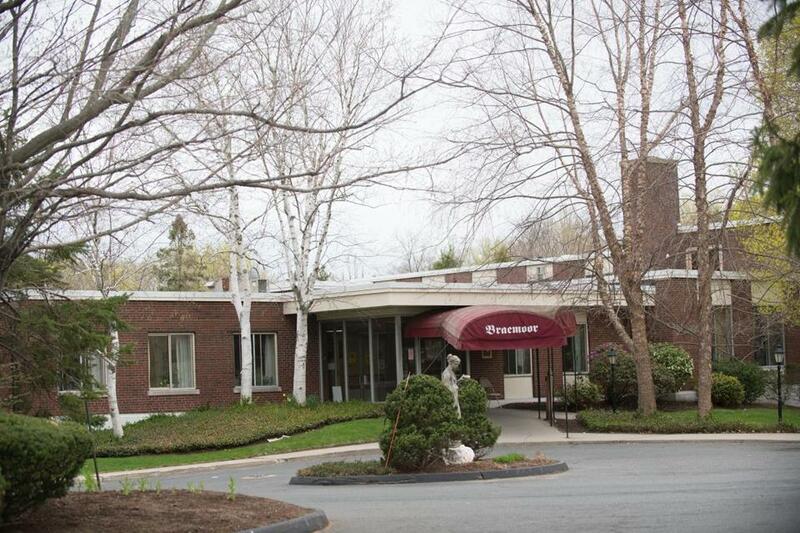 Nursing home cost reports are rarely scrutinized by Massachusetts regulators. Instead, the process operates more on an honor system. The last reports audited were from 2007, and only a sample from that year was selected, according to a statement from the state’s Center for Health Information and Analysis. Federal scrutiny is similarly light. Charlene Harrington, a professor emeritus of sociology and nursing at the University of California San Francisco has studied nursing home oversight issues for more than a decade and has concluded that the system is broken.